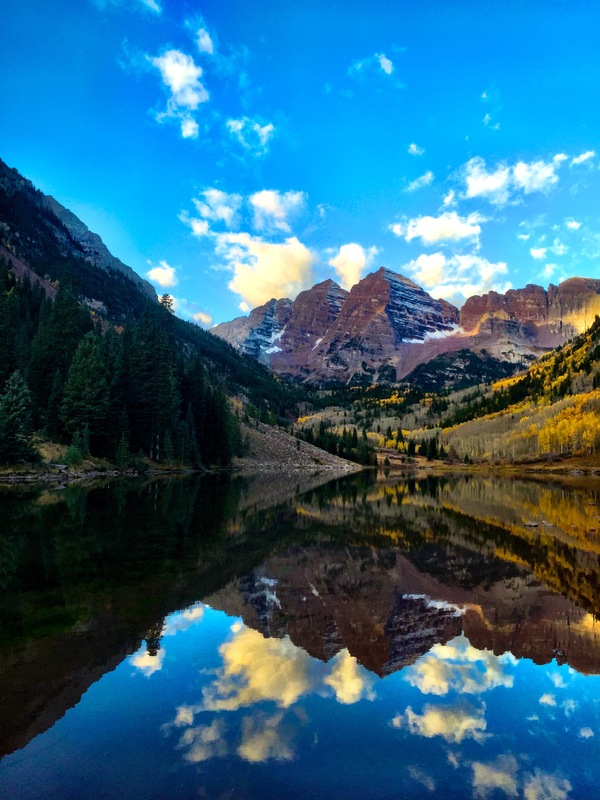 Maroon bells may be as picturesque as you can get in CO. It’s a huge tourist attraction drawing hundreds if not thousands of people a day. So beautiful and popular that the National Park Service doesn’t allow cars to drive up to the top between the hours of 8 AM – 5 PM. It is only accessible by a (dog friendly) bus ride to the top during the day. 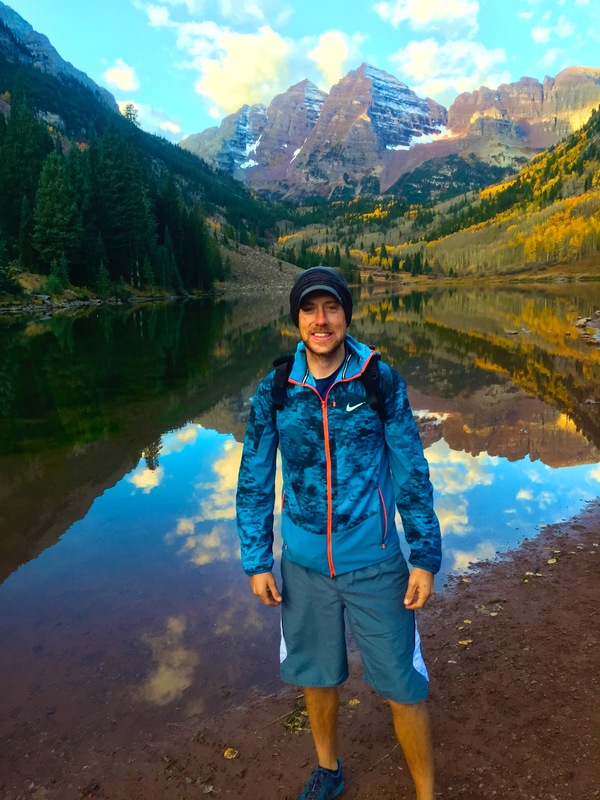 Of course I picked one of the busiest weekends at Maroon Bells to try and run here. Since there is color on the trees folks come from all over to get a picture. This made me have to wake up at 6 AM to get a spot at the top, even at 6AM the lot was filling up quick. Pup and I chilled in the van til the sun started to light up the darkness. I then walked around to stretch pup as I focused on the run. After meeting a few runners the night before I planned on running up West Maroon Trail for about ten miles. 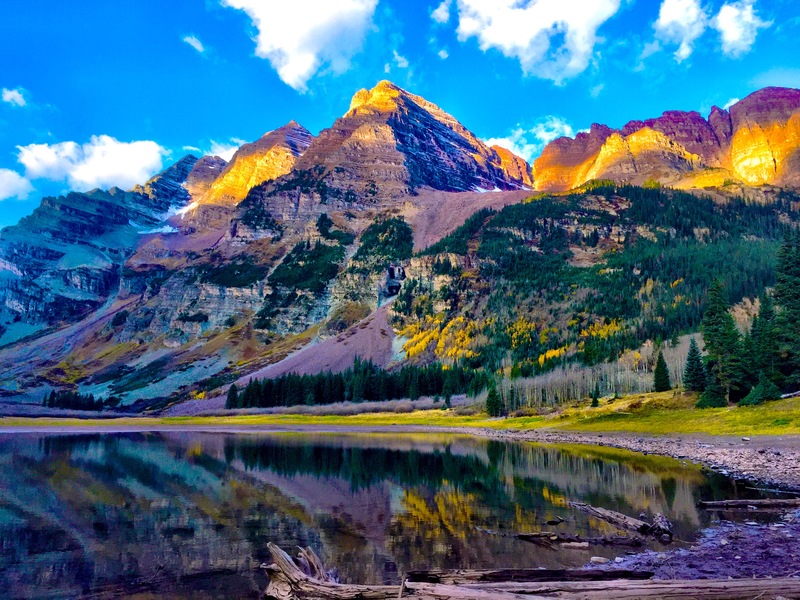 Maroon Peak is a 14er and surround by several other 14ers as you are in the meadow near Cater Lake. 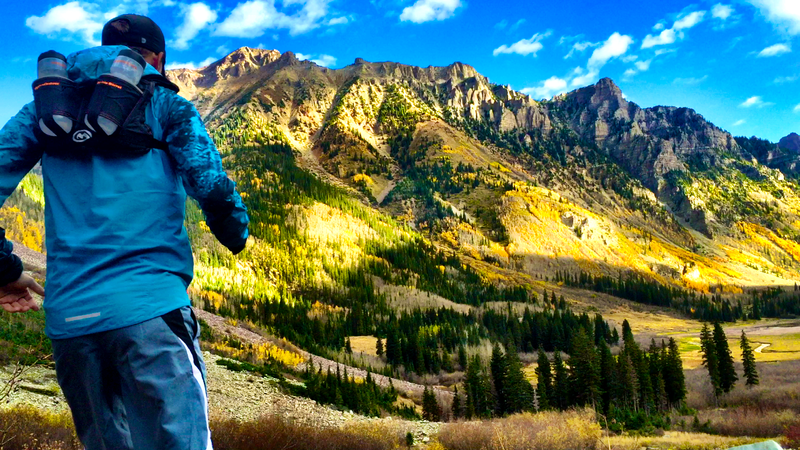 With the high altitude, breathing is still tough for me while running upward. But I managed to get 11 miles on this beautiful trail. 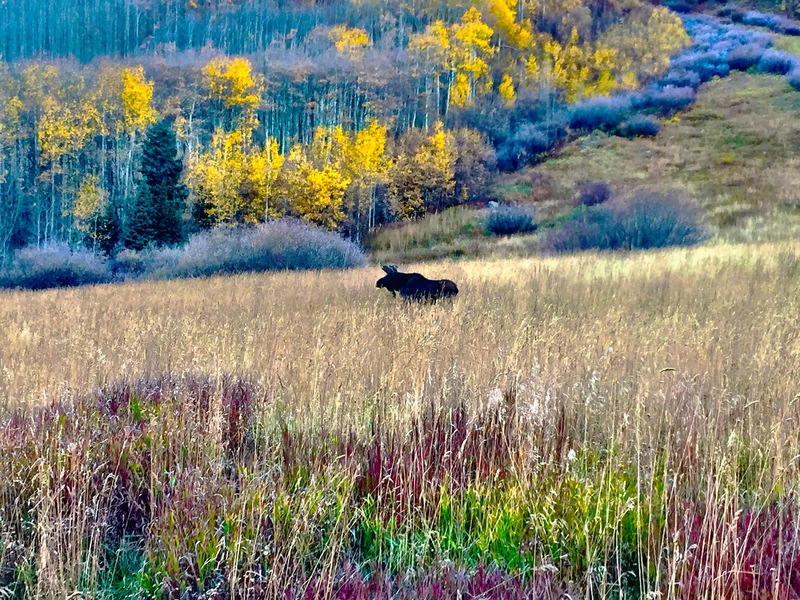 I also had my second moose encounter with a very curious young bull that was b-lining it to the lake. 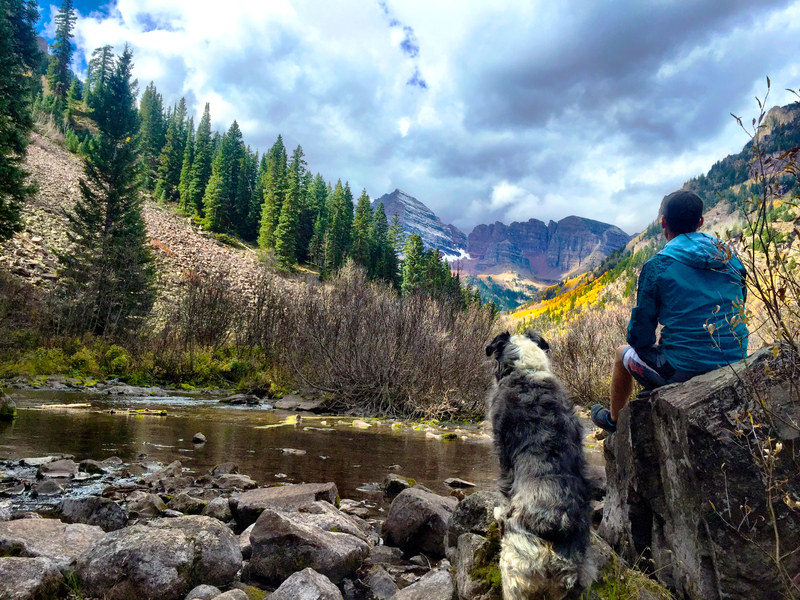 If you are in the Apsen, CO area a stop at Maroon Bells is definitely worth your time. Thanks so much from an east coast dweller that loves the mountains out west. Agreed…words can not describe the beauty! Sending some west coast mountain love your way Peggy!